KANSAS CITY, Mo. — The most recent point-in-time count for the Kansas City area showed thousands of people on both sides of the state line were living outside. 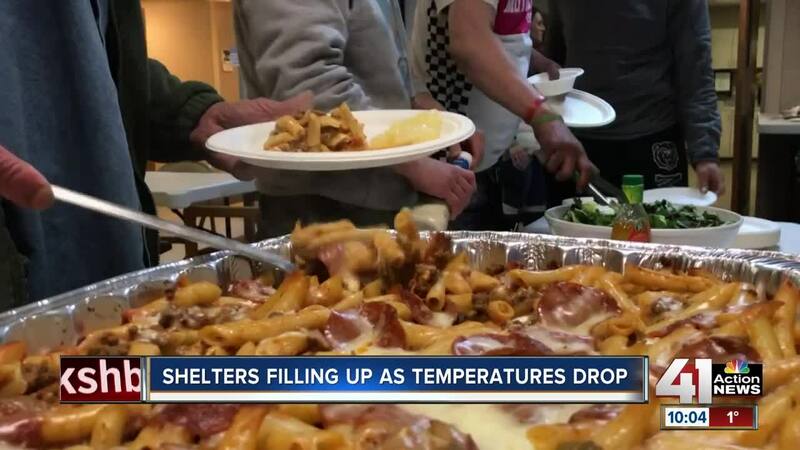 Considering the size of the homeless population, shelters fill up quickly when temperatures drop into the single digits, which happened Sunday evening. Five shelters, including City Union Mission and Kansas City Rescue Mission, were at capacity. After learning of the need for overnight emergency warming centers, leaders at All Souls Unitarian Universalist Church on Walnut Street in Midtown decided to open its doors. "Why not? That seems like the least you can do," said Rev. Kendyl Gibbons, who serves as the church's senior minister. The church opened its doors at 6 p.m. on Sunday and will remain open until 9 a.m. on Monday for anyone who needs shelter with the temperature expected to dip below zero. Volunteers will serve meals and offer toiletries to the people who seek refuge there. "For me, it's a way to honor the fact that we are all human beings," said Intern Minister Rebecca Gant, who helped organize the center. That is something Matthew Hazelwood wishes more people would recognize. He has been living on the streets since last summer. "Don't judge nobody just because they're homeless or they ain't got a car," Hazelwood said. He described the volunteers at All Souls as "angels, straight up angels." Although Gibbons realizes the warming center isn't a permanent solution, she hopes the temporary fix can make a difference. "We don't have the resources to solve the problem of homelessness," she said. "We don't even know how that's done exactly, but we can keep people from dying." The church plans to be open again Monday night for those in need.